To celebrate the release of over 1.9 million new additions to our Crime and Punishment collection, we have been on the hunt for weird and wonderful instances of felonious behavior found within in our records and collection of historic British newspapers. The collection of over 3.2 million records is littered with bizarre and often humorous cases of unusual individuals who were brought before the various criminal courts of England and Wales. 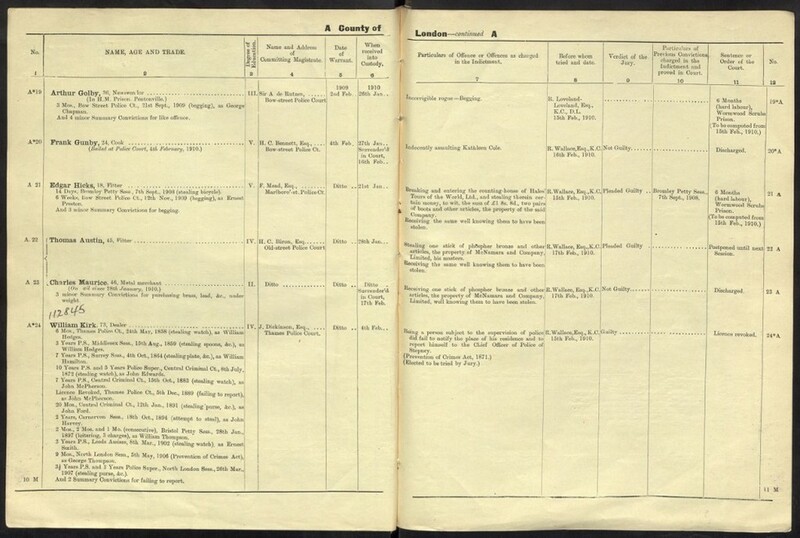 https://www.findmypast.ie/Pay?isfreetrialrequest=true">Not a member? Start a free trial today! 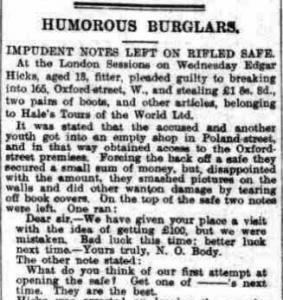 One such crime in 1910 saw 18 year old Edgar Hicks breaking into the safe of an Oxford Street shop only to find there was very little cash inside. While hanging around to write a note to the shop owners expressing his disappointment and recommending they upgrade their safe, he was arrested by police. In 1801, 40 year old John Adams, a gun lock filer from Darlaston, was tried at Stafford and convicted of cursing King George III. A turmoil arose in house of victualler James Wilkes, where Adams had been drinking. Wilkes called for assistance and when the local constable arrived Adams shouted, "Damn the King and his Peace and his officers". Adams was sentenced to 6 months imprisonment with “sureties for good behaviour”. 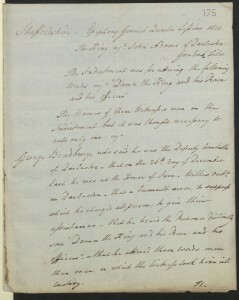 He was given a light sentence by the standards of the time as he was drunk at the time of the act and there was 'Malice between Person who laid the Information and the Prisoner'. Members of the local community submitted a petition to the court requesting his release. 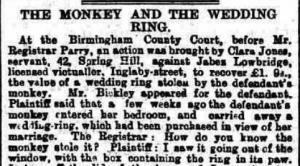 In August 1891 saw Jabes Lowbridge was charged and ordered to compensate a Miss Clara Jones for a wedding ring that was stolen by his monkey. Miss Jones, who was soon to be married, entered her bedroom to find Mr Lowbridge's monkey escaping through the window with her jewellery box in hand. 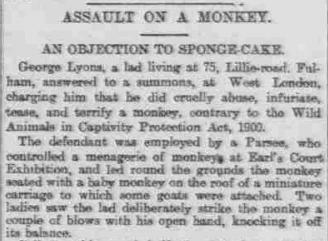 In a further monkey-related crime, George Lyons from Earls Court was charged with punching a monkey off the roof of a miniature carriage in 1902 and in February of 1845, a man was arrested and charged for allowing his brutish monkey to carry out a string of violent assaults. The records also tell of a spate of bizarre attacks against foliage. 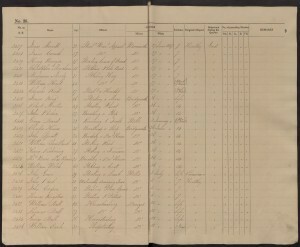 Daniel Hording, a 64 year old from Amersham was charged with "maliciously damaging" 54 cabbages in November 1894, as was Archer Bentall from Chelmsford in the same year. George Foules was charged with maliciously damaging over 100 turnips in Hull in 1910 and Mr John Paul of Wells was sentenced to seven months for maliciously damaging his neighbors trees.